So this is how it went down. I found out that a certain artist whom I love coming to town. I really wanted to go but being a “solo artist” the venue wasn’t a good choice for me. As it turns out another supremely talented musician was coming to town the same week. I first heard this musician back in the 90s as a part of Joshua Redman’s band. Since then HE has been on a trajectory as a leader/musician/composer that has crossed genres, but to me he is a jazz man, that likes to make it funky. After some crowd-sourcing and a reality check I got a ticket to check out super-bassist/composer/band leader Christian McBride, this time as leader of a trio of the same name on November 3. 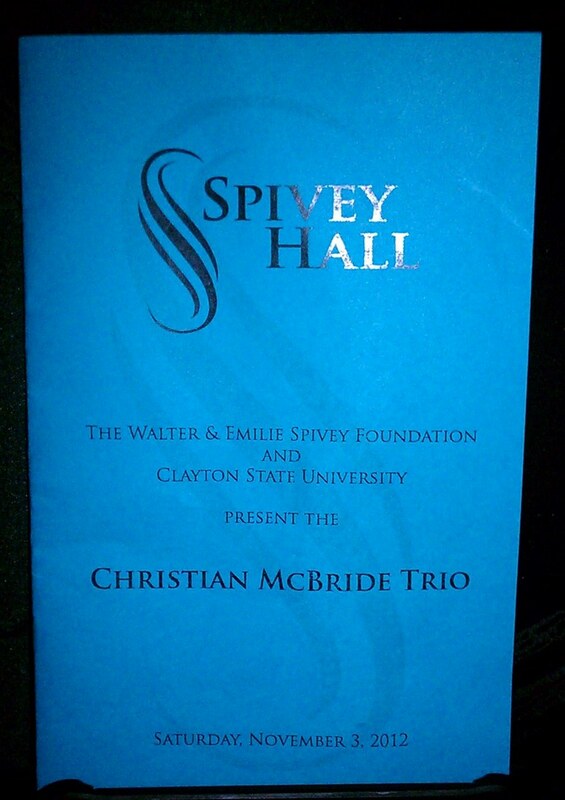 I’ve been to Clayton State several times but this was my first time at Spivey Hall. There was an immediate fail upon arrival as the lights in the parking lot were out. It was completely black, no security and no police on site. There were officers on site after the show, to the University’s credit. Spivey is an older, but beautiful facility. 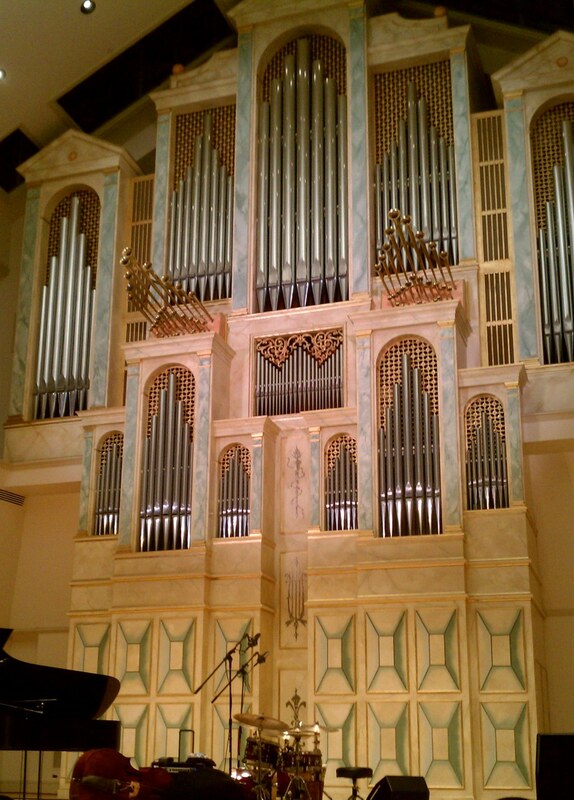 The concert hall is small and intimate with some great architecture. They have a strict no photo policy so I only managed to snap a few photos on the sly of the stage area. I dare not take any of the artist though I did see one guy get one after the show. Having come fairly fresh off another jazz show, this crowd was a bit different. From what I could tell this was more of the jazz aficionado crowd. Older, decidedly un-trendy and whiter than the last show I attended. 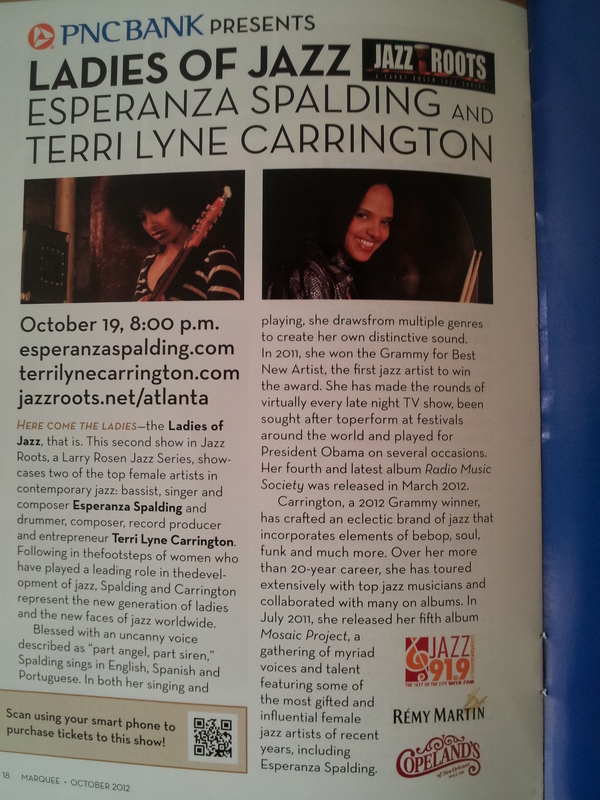 Atlanta (I think) has gotten better in terms of African-American attendance at jazz shows. This is a hip-hop town after all, but from what I can see we have gotten a bit better than when I first started going to shows here in the early 90s. My folk are giving me hope. Additionally there were very few late arrivals at this show (thank God). McBride started young and in Jazz years he’s still young, 40 but his trio mates are even younger, the pianist Christian Sands is 23 and a virtuoso. The drummer Owens, didn’t look to be yet 30 himself but these dudes played their tails OFF. They had tremendous energy and looked to enjoy playing together. The interplay between the three was so natural and there were plenty of smiles. In my years of observation, jazz musicians are oh-so serious. These guys were playing serious music, they certainly had “the look” from time to time but when they were riffing off each other it was all fun and a joy to watch. McBride is a master of his craft AND proved to be a master showman as well at times charming and witty and quite engaging. The music was the star of the show and in a word was absolutely OUTSTANDING. Here’s the set list (as I recall it). Duhty Blues – it’s named blues but this tune was swinging. We were treated with our first taste of Sands and Owens via solo. I Mean You – immediately recognizable though I couldn’t recall the name. A very uptempo and fun interpretation of Thelonius Monk’s composition. I Guess I’ll Have to Forget – This tune had a distinct beginning, middle and ending. Slow in the beginning, uptempo in the middle and slow at the conclusion with the piano featured. The Most Beautiful Girl in the world – the drummer, Owens went off on this one, an outstanding solo. My Favorite Things – had us pretty much whipped into a frenzy. The way McBride flipped this was incredible. It started off sweetly with Sands’ piano and moved into the tune that we all know. The song progressed into a sort of futuristic feel as we heard and watched the drummer and pianist play their instruments in unconventional fashion. The drummer using elbows and a variety of brush sticks and other things I can’t name. The pianist placed a towel on the inside of the piano and played the inside of the piano. McBride grounded the future and sent it into funk mode which he does WELL. The song ended in the same sweet fashion it began in. I Have Dreams – from the King and I. 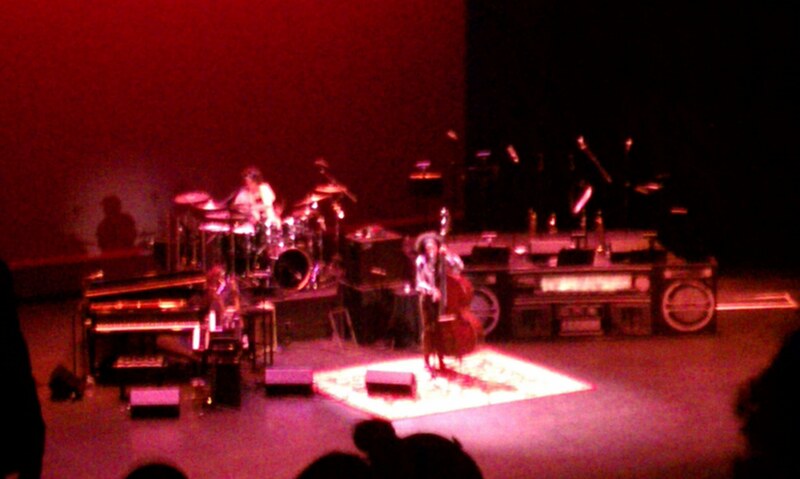 This one was all McBride with him employing a bow on the bass, it was really beautiful. I just closed my eyes remembering it. Who’s Making Love – McBride made no bones about being a funk guy and from this selection a blues guy, letting us know that the muse for the Trio is Johnnie Taylor. The band got DOWN on the last tune of the set. I thought at any minute the show would turn into a blues show, with all the head nodding and lip-syncing. McBride and the guys didn’t stop however they mixed Michael Jackson’s Shake Your Body, the Gap Bands Shake in which we were treated to a bit of scatting and singing from McBride. Nobody wanted this to end and it didn’t. A dear friend and former classmate of McBride’s was in the audience. This friend was called to the stage and blessed us with My Funny Valentine and brought me nearly to tears. Who was it? Ms Avery Sunshine. 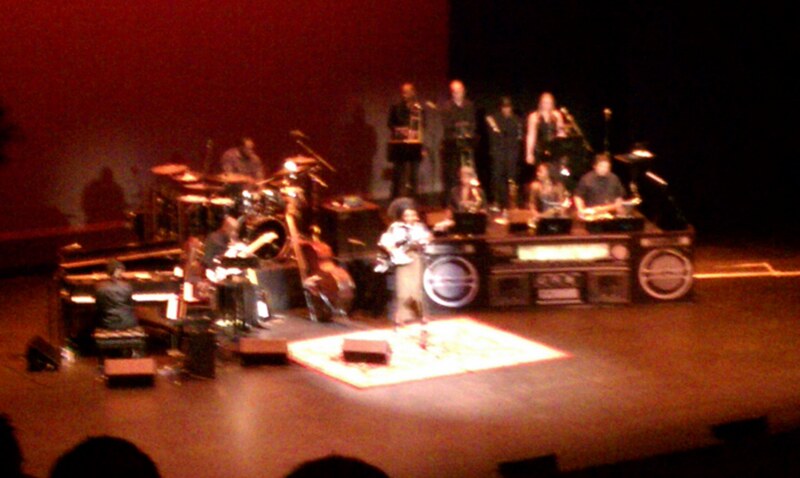 Some of the crowd didn’t know who she was, us soul heads knew and she killed it. I even heard folks leaving commenting on how great the encore was. Christian McBride/The Christian McBride Trio is the absolute total package. McBride’s talent is incomparable. Just watching his hands put in work was amazing. The two young musicians rounding out the trio bring great energy (not that McBride needs it as he is quite lively) and a level of talent that is really awe-inspiring. As stated earlier, these guys work well together and it showed. If the Christian McBride Trio makes a stop in your city, just hit the submit button, make the phone call or run, not walk to the box office to get a ticket.